Fars Province also known as Pars Province ( Persian: ? Ostan e Fars, ), is one of the thirty-one provinces of Iran and known as the cultural capital of Iran. It is in the south of the country, in Irans Region 2, and its administrative center is Shiraz. It has an area of 122,400 km². In 2011, this province had a population of 4.59 million people, of which 67.6% were registered as urban dwellers (urban/suburbs), 32.1% villagers (small town/rural), and 0.3% nomad tribes. The etymology of the word "Persian" (From Latin Persia, from Ancient Greek ?????? (Persis)), found in many ancient names associated with Iran, is derived from the historical importance of this region. 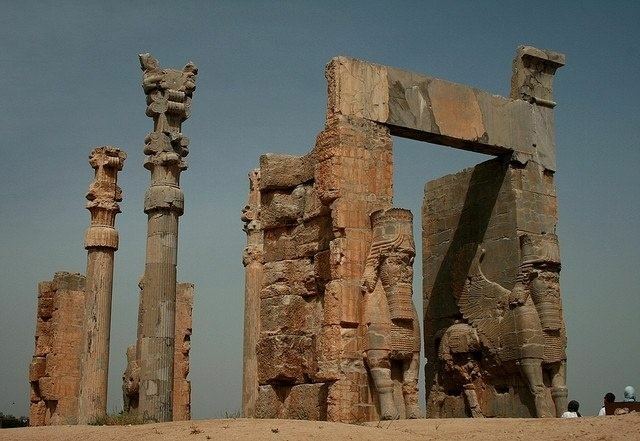 Fars, or known in Old Persian as Parsa, is the original homeland of the ancient Persians. The native name of the Persian language is Parsi. Persia and Persian both derive from the Hellenized form Persis of the root word Pars. The Old Persian word was Parsa. Iran fars province, olive & olive oil products ????? ????? ? ???? ????? ????? The ancient Aryan Persians were present in the region from about the 10th century BC, and became the rulers of the largest empire the world had yet seen under the Achaemenid dynasty which was established in the late 6th century BC, at its peak stretching from Thrace and Macedonia in the west, to the Indus Valley in its far east. 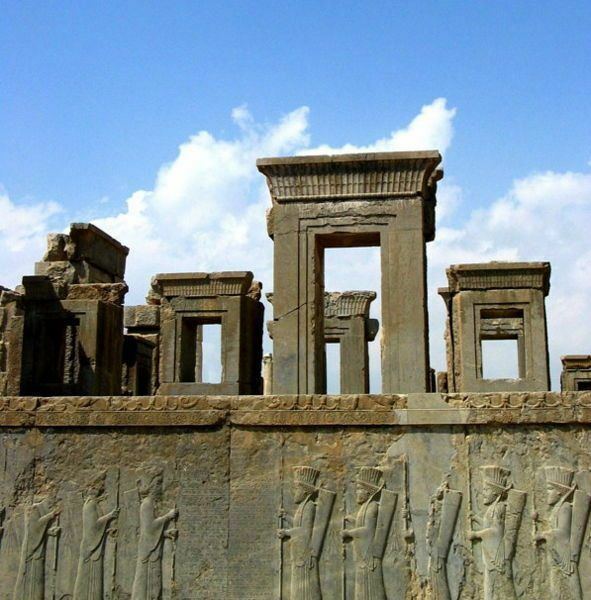 The ruins of Persepolis and Pasargadae, two of the four capitals of the Achaemenid Empire, are located in Fars. The Achaemenid Empire was defeated by Alexander the Great in 333 BC, incorporating most of their vast empire. Shortly after this the Seleucid Empire was established. However it never extended its power beyond the main trade routes in Fars, and by the reign of Antiochus I or possibly later Persis emerged as an independent state that minted its own coins. The Seleucid Empire was subsequently defeated by the Parthians in 238 BC. By 205 BC, Antiochus III had extended his authority into Persis and it ceased to be an independent state. Babak was the ruler of a small town called Kheir. Babaks efforts in gaining local power at the time escaped the attention of Artabanus IV, the Arsacid Emperor of the time. Babak and his eldest son Shapur I managed to expand their power over all of Persis. The subsequent events are unclear, due to the sketchy nature of the sources. It is however certain that following the death of Babak around 220, Ardashir who at the time was the governor of Darabgird, got involved in a power struggle of his own with his elder brother Shapur. The sources tell us that in 222, Shapur was killed when the roof of a building collapsed on him. At this point, Ardashir moved his capital further to the south of Persis and founded a capital at Ardashir-Khwarrah (formerly Gur, modern day Firouzabad). After establishing his rule over Persis, Ardashir I rapidly extended the territory of his Sassanid Persian Empire, demanding fealty from the local princes of Fars, and gaining control over the neighboring provinces of Kerman, Isfahan, Susiana, and Mesene. Artabanus marched a second time against Ardashir I in 224. Their armies clashed at Hormizdegan, where Artabanus IV was killed. Ardashir was crowned in 226 at Ctesiphon as the sole ruler of Persia, bringing the 400-year-old Parthian Empire to an end, and starting the virtually equally long rule of the Sassanian Empire, over an even larger territory, once again making Persia a leading power in the known world, only this time along with its arch-rival and successor to Persias earlier opponents (the Roman Republic and the Roman Empire); the Byzantine Empire. The Sassanids ruled for 425 years, until the Muslim armies conquered the empire. Afterwards, the Persians started to convert to Islam, this making it much easier for the new Muslim empire to continue the expansion of Islam. Agriculture is of great importance in Fars. The major products include cereal (wheat and barley), citrus fruits, dates, sugar beets and cotton. Fars has major petrochemical facilities, along with an oil refinery, a factory for producing tires, a large electronics industry, and a sugar mill. Tourism is also a large industry in the province. UNESCO has designated an area in the province, called Arjan (known as Dasht e Arjan) as a biosphere reserve. Shiraz, provincial capital of Fars, is the namesake of Shirazi wine. A large number of wine factories existed in the city.